Your Acura dealer in the Treasure Valley! Our reputation is important to us at Lyle Pearson Acura. We have worked hard to earn the respect and trust of the Boise community. Our dealership has earned the status of Precision Team winner multiple times. This is status is the highest honor Acura can grant its dealerships. Earning this distinction means that a dealership has displayed superior standards of customer satisfaction, sales and service training, customer follow-up and business management. 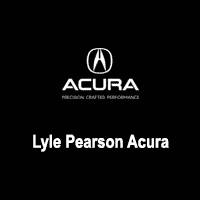 Several rigorous expectations have to be met in order to earn this designation, and Lyle Pearson Acura has succeeded in this goal multiple times, providing the best customer service experience possible. Our expansive selection includes both new and used Acura models. Lyle Pearson Acura’s comprehensive new model inventory is home to popular models like the ILX, TLX, RLX, RDX and MDX. Car shoppers in Boise, Nampa, Meridian, Twin Falls, Mountain Home, Ontario or all of Southern Idaho will find their next premier vehicle here at Lyle Pearson Acura.